Khalastchi = on staff at the University of Iowa + co-founder of Rescue Press + born in raised in Iowa + 1st gen Iraqi Jewish American. In this talk, he shares some ideas for moving into what he calls “the wild construction of possibility” — building on the sketches/notes and turning them into something bigger. There are many ways, not just one way. He says it’s like building a house. Image. A visual or sensual description. Figurative language. If every image were literal, that would be boring. Images that represent something else or create comparison/connection make the language come to life. The line. Use to create emphasis, pacing, mood. (For example, line breaks can create emotional hesitation.) The line gives us a double meaning: itself, and then whatever it means in relation to the lines before and after. Consider, what is the line doing? How can I get a new meaning out of it? If you’re not sure why you’re breaking a line, don’t break the line. You are the one in control of your words that make the line. Sound (repetition, rhyme), the music of poetry. Line breaks are one of many tools to create music, rhythm. Rhyme creates emphasis and changes mood. Rhythm changes the pace, tone. Can signal the “turn” of the poem. Form. Constraint can help the writer. Experiment with forms (sonnets, quatrains, etc.) if that works for you. James Wright: Poetry is the crucial relation between craft and the imagination. Robert Hass: A good image makes something so real, it’s like being alive twice. Denise Levertov: When you (as the reader of a poem) get to the end of the line, you give the the writer the respect of giving it a half comma. You pause for a second to take in what that line was, and you look at the line as a unit, what it’s doing on its own. “White, White Collars” by Denis Johnson – for rhythm/music in the lines. Note the misery in the first part of the poem, then at the “turn” (But in my belly’s flames…) he introduces a rhyme scem, AABB, to make it musical and dance. around dance-halls among the dancing fools. and break, and I see my previous lives. Construct a poem however you want (maybe in a form). Consider using some of the sketched or collected lines from previous work as your building materials. Include at least one image and one metaphor. 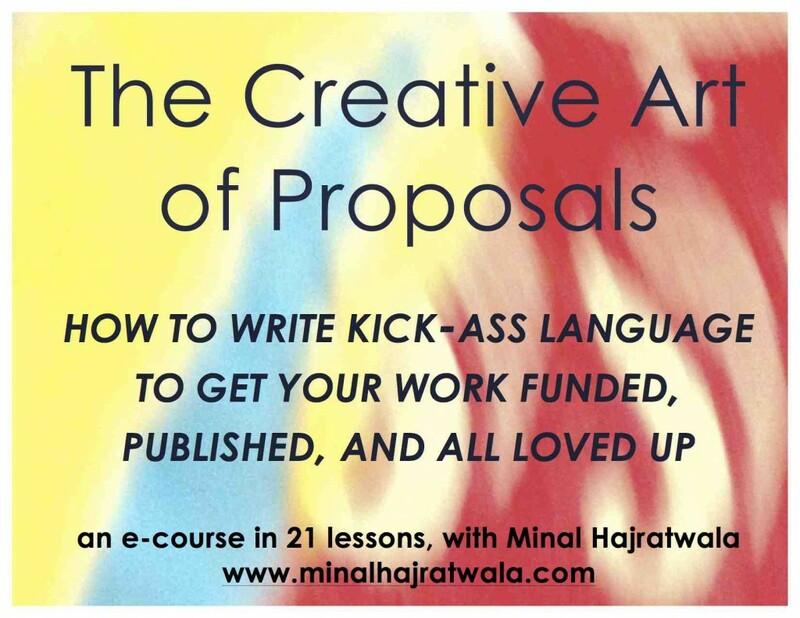 This entry was posted in Help for Writers, Reading as a writer by Minal. Bookmark the permalink.